BMW owners claim the manufacturer has been aware of the issue since 2004. Volkswagen isn’t the only car manufacturer facing lawsuits. Over the last few years, BMW has received a torrent of complaints from owners about water damage issues affecting the electrical components in the trunks of the luxury BMW 5 series. Now, the manufacturer has agreed to pay up to $477.7 million to settle a class-action lawsuit covering around 318,000 affected US car owners, according to Reuters. 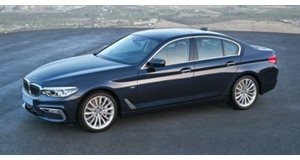 The settlement covers 2004-2010 model year BMW 5 Series cars. Owners will receive up to $1,500 in compensation for any previous repairs and, if required, BMW is offering a free inspection and repairs to owners of vehicles with less than 120,000 miles and less than 10 years old. In addition, dealerships will apply a warning label informing owners not to spill liquids in the trunk to prevent further issues. While the settlement is still being approved by a US District Judge, BMW has also agreed to pay nearly $1.8 million to cover the legal expenses of the suing owners. The settlement says that electronic components in the spare tire well of the trunk in some BMW 5 Series models were water damaged due to clogged sunroof drainage tubes or by other means. To make matters worse, disgruntled owners are arguing that BMW has known about the issue since 2004 based on complaints, warranty claims and technical service bulletins filed with the US National Highway Traffic Safety Administration, though Reuters reports that BMW denies these allegations. BMW has apparently faced lawsuits in New York and California over the same issue for four years, but it isn’t clear how many owners may seek reimbursement. 2017 BMW 5 Series First Drive Review: Is It Really A Game-Changer? We drove the new 5 Series in Napa Valley to see what all the fuss is about.